This lovely Claret wine from the rare 1972 vintage offers a lovely scent and is silky and fragrant with a smooth dry finish. Drink now - 2022. 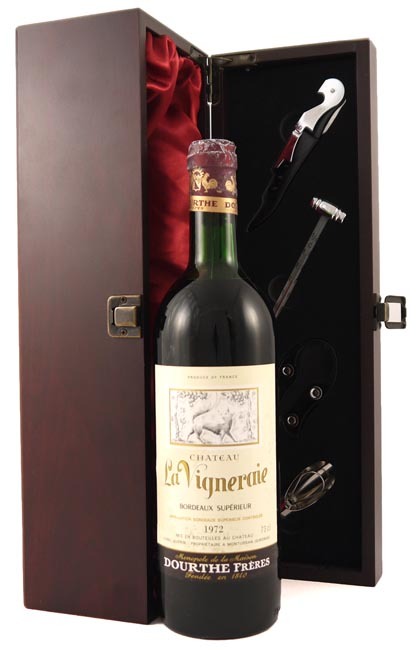 The 1972 vintage in Bordeaux was fair as a result of poor weather throughout the year. A warm July was not enough to save the crops after a cold wet Spring and even though September was sunny and warm producers struggled to produce good wines.